Sinister 1971 children's film, taken from a book by Roald Dahl. 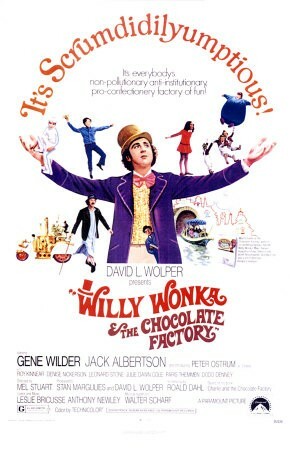 Gene Wilder, a candy magnate, takes a group of kids on a tour of his factory, which is manned by dwarfs and filled with crafty machinery for the punishment of childhood vices. The crazy color schemes and visual effects once made this a popular head picture, though you'd have to be stoned to tolerate the score, which includes "The Candy Man." Mel Stuart directed. Willy Wonka and the Chocolate Factory is not showing in any theaters in the area.